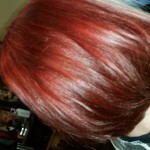 Shades specializes in hair color and takes pride in every color and color correction we do! 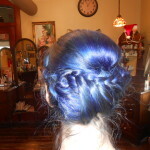 This is done on hair that has not been previously colored. 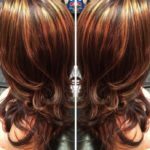 This process is done from scalp to ends, to change your natural hair color lighter or darker, or to match your natural color and cover grey hairs. 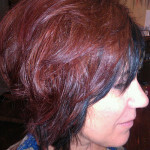 This service is done on previously colored hair. 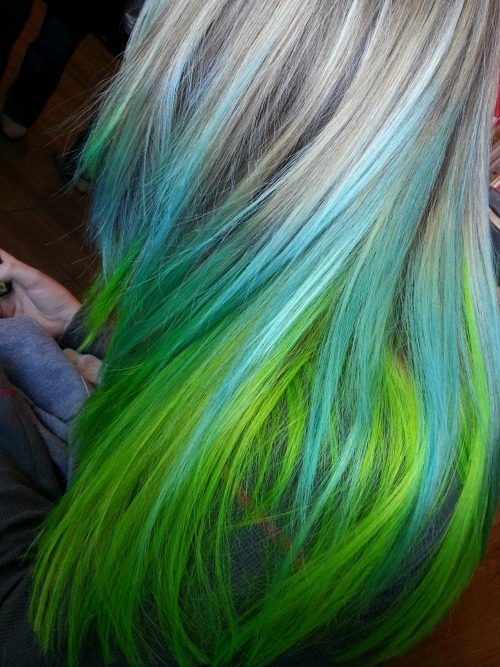 The regrowth area is colored to match the previously colored hair. 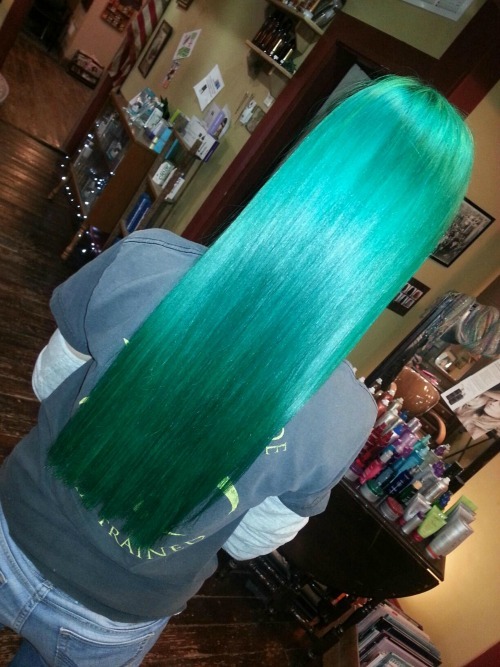 This process is done to enhance your hair, whether it was previously colored or not. 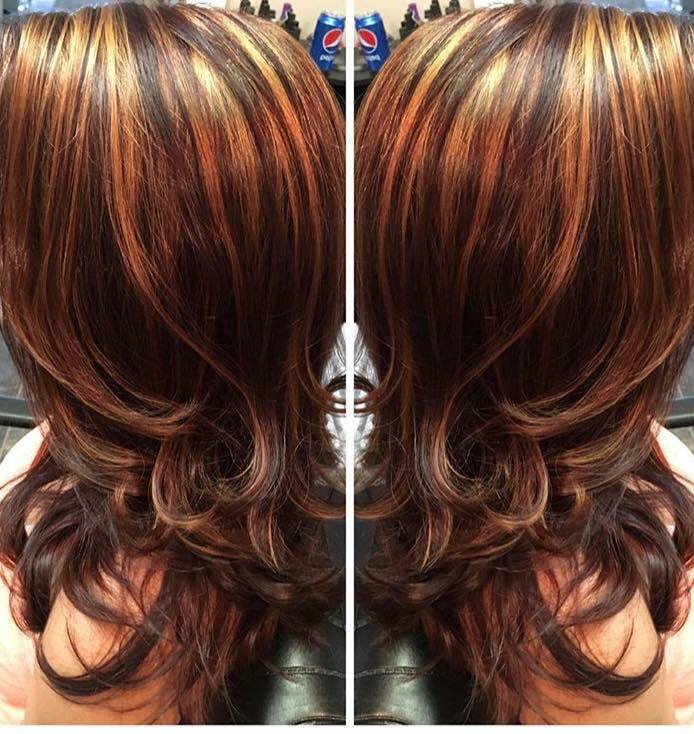 This process will add shine and texture to any hair. 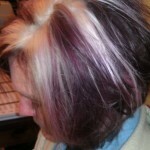 Color can be added to refresh old ends or just to color some greys. 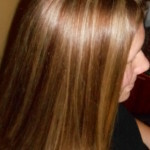 Natural hair color is lightened to shades lighter than your natural color. 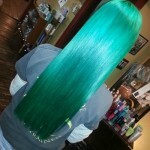 It can be lightened one shade lighter or all the way to a pale blonde. 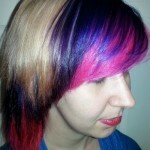 A color gloss (if needed) is included with this service. 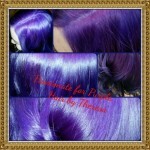 This service is done by using foils and wrapping the hair into packets for processing. 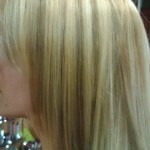 It is precise and we are able to do a little or a lot, to suit your hair styling needs. 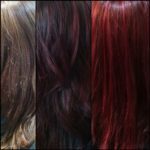 This is the same process as highlights, but in the foil packets we would use the same hair color formula as your natural hair color, or a darker color could be used for a deeper look. 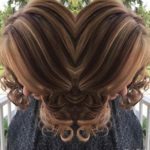 This process is great for someone wanting to blend grey hair with their natural color, or for a person wanting darker hair but isn’t ready to take the full step, or for just contrast of darker accent pieces in the hair style. 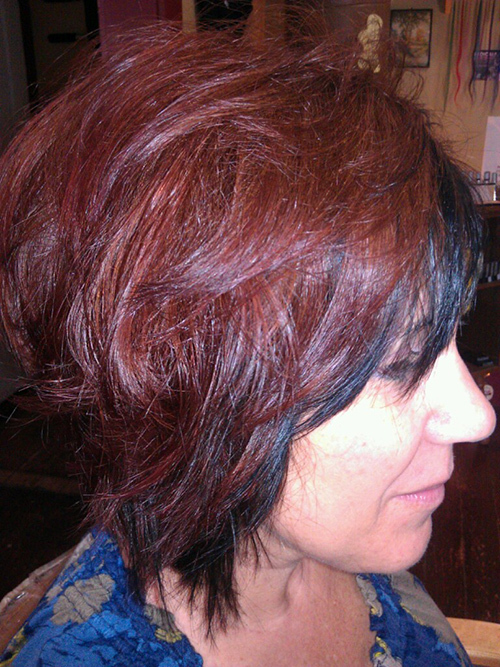 This process is done by using two or more colors for the color service. 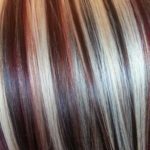 It could be two or more different colors in alternating foil packets or highlights with a base color to cover all the hair. 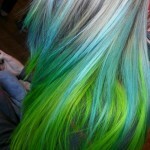 It can be as creative as you allow your stylist to be. Go for it! There is an extra charge for this service due to more product used, experience needed to create the look, and timing. 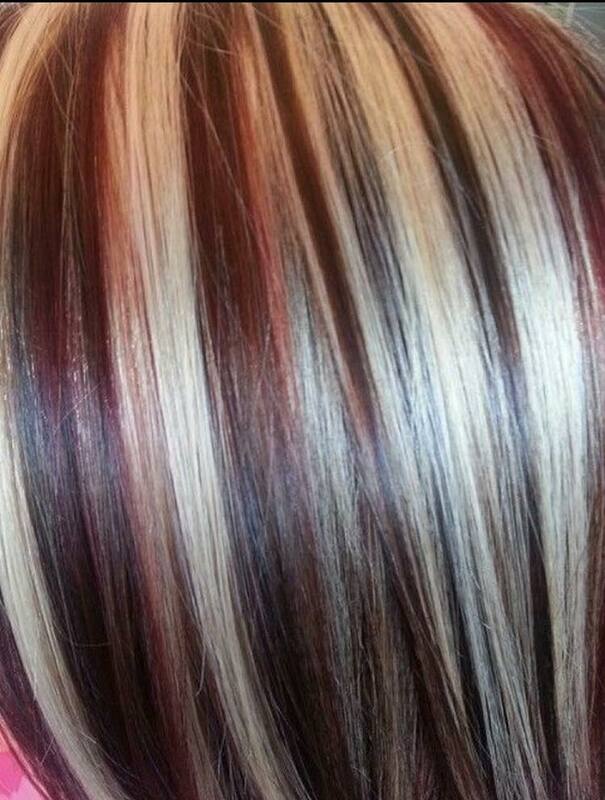 Hair color that went wrong? We can fix it! 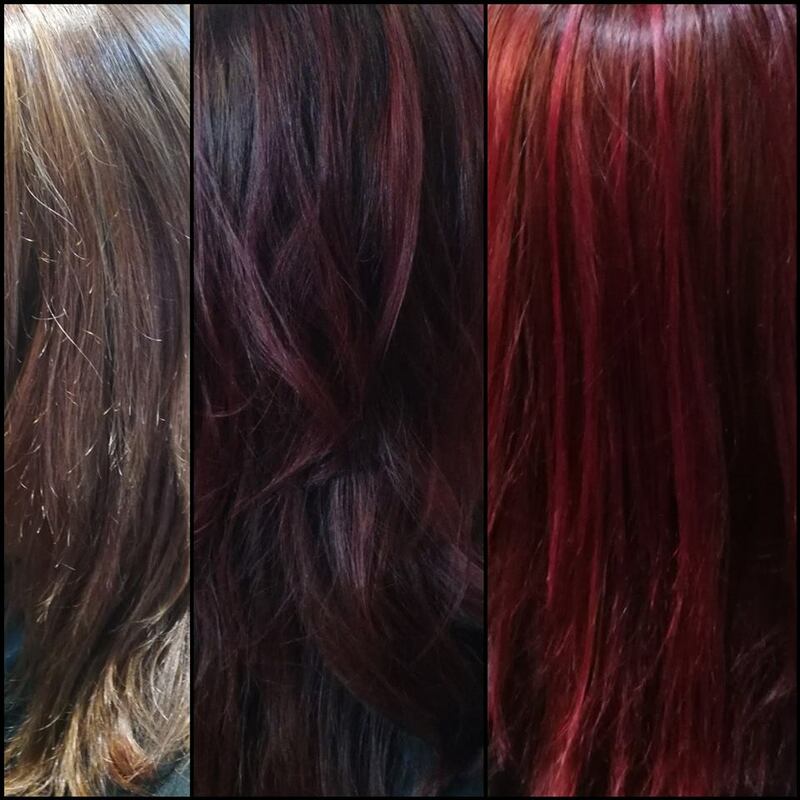 We specialize in color corrections. Timing and pricing is subject to how much correction needs to be done. 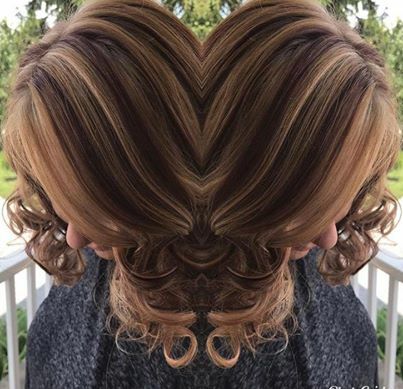 We do not list hair color prices, as each service is customized to each client, and prices will vary depending on service.